and it is my goal is to open your eyes to the power of travel through tailor made itineraries and personalized service, all while maximizing your money and vacation experience by matching you with specific destinations, tour operators, hotels, and activities. 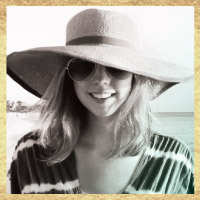 Social Media can play an exciting role in your vacation before, during, and after your trip. I use hashtags for research before I leave for my trip, gaining ideas and knowledge for what to do, see, eat, etc. I love to post my own photos while on vacation to connect with my followers, friends, and clients. 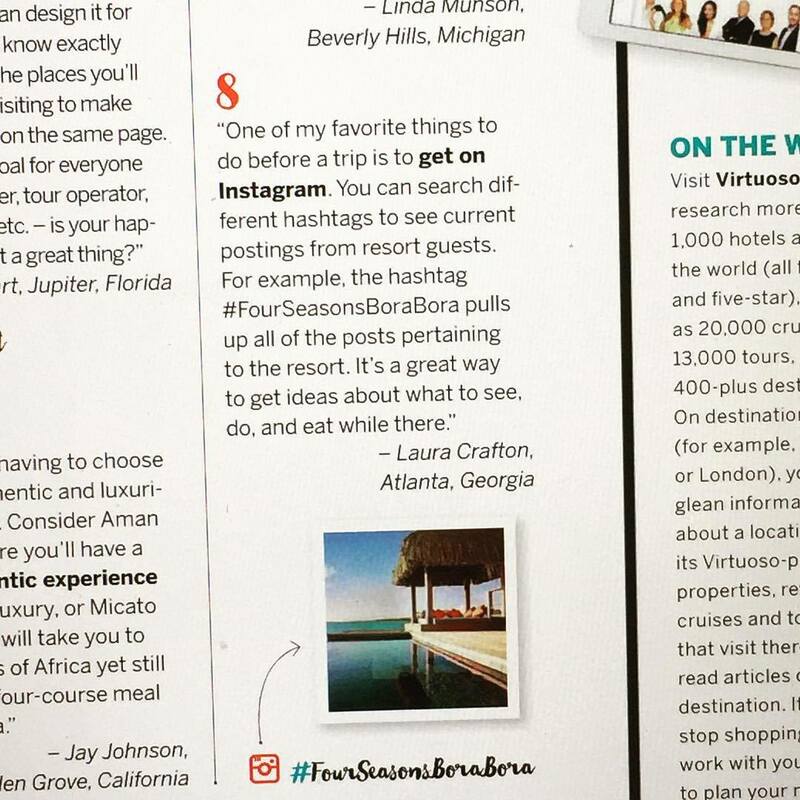 Then months down the road when I need a little inspiration I will go back and search hashtags like #fourseasonsborabora to live vicariously through people that are experiencing the resort at that exact moment! 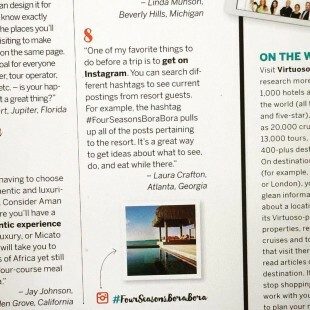 Below I was quoted on this topic in one of my favorite magazines, Virtuoso Traveler.